A question's revision history has shown bounty events for quite some time now. Since then, Stack Exchange has also added support for bounty remarks. I would like to request that bounty remarks be added to the revision history, as well. For example, consider the revision history for this feature request. This may be more prevalent on Meta SO than other sites, but when there are multiple bounties on a single question I think that it would be helpful to have a history of the bounty remarks to clarify precisely why the bounty was offered, rather than a series of "Authoritative reference needed" notices. It is not yet added to the revision history but my earlier feature request to add this data to SEDE has been status-completed. Keep in mind that SEDE is only updated once a week, on Sunday. Not the answer you're looking for? 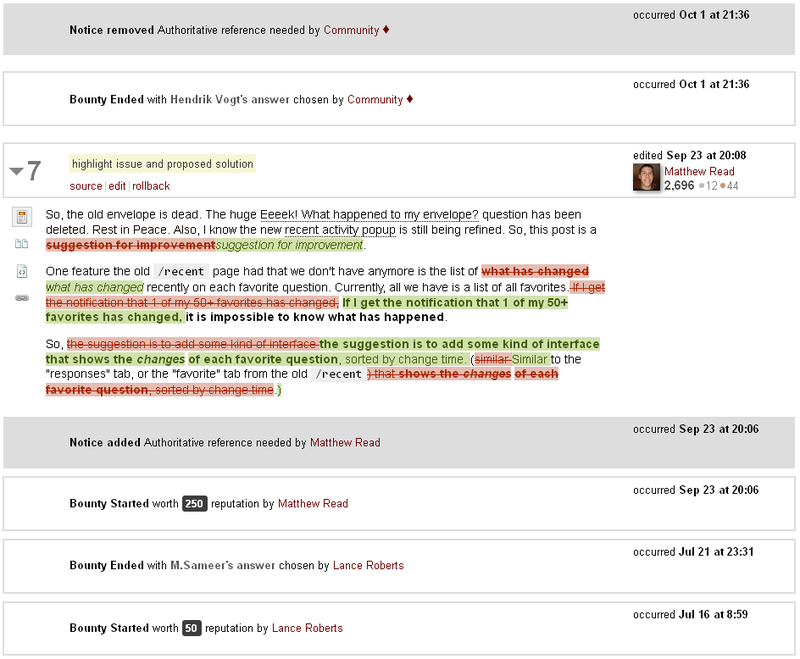 Browse other questions tagged feature-request bounty revisions-list bounty-remarks . Is there any way to see the custom messages/remarks of resolved/expired bounties? Who is the Community user? How should bounties be categorized? This post was of very poor quality? Can we add the number of bounties an answer has earned to the bounty award tooltip? What to select for a bounty reason if the answers are wrong? How to know who offered bounty when revision history is not available?